SUSPENSION PACKAGE, OFF-ROAD (Includes off-road jounce bumpers, specially-tuned springs and gas-charged monotube shocks, (G80) heavy-duty locking rear differential, (B71) front and rear wheel flares, (N87) 4-18" x 8" (45.7 cm x 20.3 cm) aluminum wheels, (QXN) P265/65R18 on-/off-road, blackwall tires, (NZZ) Skid Plate Package, (BVV) tubular assist steps and (K47) high-capacity air cleaner. Also includes (V76) front frame-mounted recovery hooks on 2WD models. Find a great sale price on this 2007 Chevrolet Tahoe 4WD 4dr 1500 LT at Power Honda in Albany Oregon. This 2007 Chevrolet Tahoe is located at our Honda dealership in Albany. We also serve the cities of Salem, corvallis, and Lebanon. 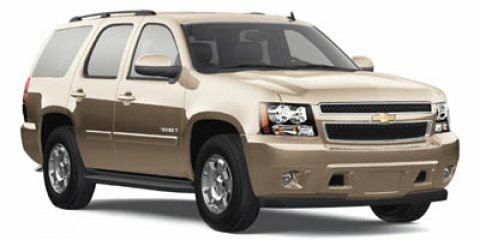 So if you're looking for a great price on this 2007 Chevrolet Tahoe 4WD 4dr 1500 LT or just looking to get an auto loan for the vehicle you want... you've come to the right place! Power Honda.